What happens to my eligibility if our club or track does not meet their obligations and or the program requirements? If a track fails to submit points within two (2) weeks of a posted WSR all participating racers will receive ZERO points for that race. While we will make every attempt to reach out to tracks to try to prevent this from happening we ask for your help for the benefit of all tracks participating. What if my club or series has already started racing before this program was released? We understand with the initial timing of this program that we could have tracks with racing already underway. If happens to be the case, tracks can still participate and will be allowed to submit race dates that have already occurred dating back to March 1st, 2019. On April 15th, 2019 we will no longer except any track dates not current. We run the 206 in our dirt or enduro club series, are we eligible? 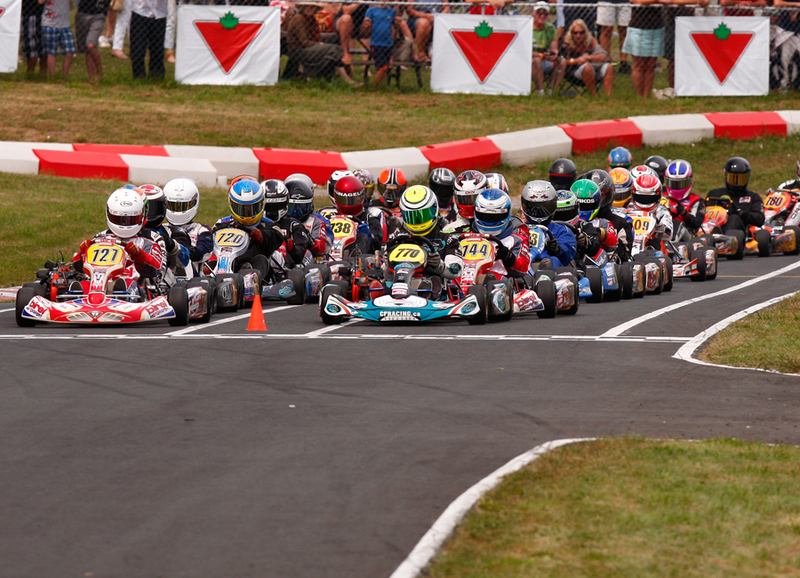 It is our opinion combining multiple areas of karting doesn’t truly highlight who was the best at a given discipline. With the sprint karting market adopting this program in mass, we have decided to walk before we run. As this program matures we would implement a similar dirt and enduro program in the future. What will happen if I don’t race 8 races, am I still eligible for points and prizes? Individual final standings will be based off of participants that have competed in at least 8 WRS events. Racers with a MINIMUM of 7 completed races will STILL be eligible but would not have the option of a drop. What happens if my track cannot get a minimum of 8 races because of weather or an act outside of the track or racers control? Tracks are allowed to offer up to 11 regular dates to account for Mother Nature. Exceptions needed beyond this will be taken on a case- by-case basis. Can I determine how many races my points are based off of? Let’s say I run 10 races but I received a DNF in race 8 but won race 10. Each racer will be based ONLY on their FIRST 8 finishes submitted by their club. Additional finishes will not be calculated towards your final RPM. Then we fight to the death! Lol If a tie breaker is required it will be determined first by total points accumulated in the “finishing position” category. If this does not break the tie then the ‘ACTUAL karts finished ahead of will be used. How can a person one week advance so many positions? If this happens it will be most likely be a result of when tracks submit results and the schedule each track chooses to use as their WRS racers. Although we will award contingency prizes at certain points in this program it is understood that club date selection, weather, the timeliness of results, etc. could impact results before the year-end calculation. This is supposed to be fun and to give back to racers by finish, fate, or luck sometimes plays a part in racing. How can I dispute my finish or that of someone else? All race results will be submitted by the track/club only. Any discrepancy must be addressed by the racer to the track/club directly and resubmitted by the track/club within 10 days of posting. My track runs the Briggs & Stratton rule set but our air filter and spark plug rules are open. Can we participate in this program? Simply put, no. The rule set is our effort to simplify the sport while promoting a level playing field, controlling costs, and giving racers the freedom of one rule set at any track. Karting has more than enough classes of open everything. While they have their place they also add unnecessary cost and do not create parity on the track. This rule set isn’t intended to drive sales. Your spark plug and air filter we make practically nothing on. Your Champion plug will likely never fail you. Investing under $4 in a spare will likely last your career. This simple rule eliminates the custom plugs that are currently coming on the market that are selling at 10 to 20 TIMES more. Their main benefit is to make your wallet lighter. Your Green air filter was chosen after in-depth particulate testing against the competitive filters commonly sold. It is simply, hands down, the best protection that you can invest in. Gone is the need to fall for sales pitches for filters that offer little to no protection but sell at 2 to 3 times the price. Sure, there ARE cheaper filters out there but the damage these filters will do far outweigh saving a few dollars. Our local track races past the 10/20/19 cutoff date, can we include these races in the WRS? The last date for racing in this program is 10/21/18. While we understand that certain parts of the country, due to heat and circumstances might still be competing, we have to provide enough time for final results and give clubs time to order a generator for their year-end banquets. What if after starting I don’t want to be a part of the Briggs & Stratton WRS any longer? Any racer at any time can contact us at BriggsRacing@basco.com to be removed from this program per your track or club agreement.